It’s official. 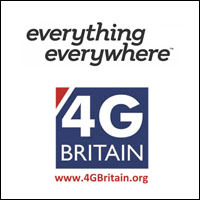 The 4G in the UK will go online on October 30. So to prepare you forthe next evolution of mobile data, we’ve rounded-up all you need to know, including what speeds you can expect and what compatible devices will be available. If you haven’t been following the news, the UK telecoms regulator Ofcom decided to grant an early and exclusive 4G license to operator Everything Everywhere – ahead of the 4G spectrum auction which is now scheduled for early next year. Everything Everywhere runs the T-Mobile and Orange brands and will be launching a third ‘Everything Everywhere’-branded operator to coincide with the 4G in the UK launch. In order to access the LTE network you therefore have to sign-up to Everything Everywhere. T-Mobile and Orange customers will able to switch over to the new operator, but minimum contract terms will still apply (the details have yet to be announced). It’s worth remembering that 4G will follow soon with other networks. Ofcom will be auctioning the remaining 4G spectrum before the end of the year and it expects all the UK’s networks to offer 4G connectivity by June. Three will likely offer 4G even earlier, as it is licensing Everything Everywhere’s network. Don’t expect a nationwide rollout just yet. Initially 4G will only be available in 10 cities. Those 10 are: Birmingham, Bristol, Cardiff, Edinburgh, Glasgow, Leeds, Liverpool, London, Manchester and Sheffield. A further 6 cities will receive coverage by the end of the year. They include: Belfast, Derby, Hull, Nottingham, Newcastle and Southampton. You can check coverage in your area with Everything Everywhere’s 4G Coverage Checker. Everything Everywhere says it expects to reach speeds of 20Mbps for its LTE network. One megabit is roughly 125 kilobytes, so that’s roughly 3 megabytes per second. A typical 3.5 minute long MP3 is around 3-4 megabytes. According to tests on US LTE networks by Cnet, the iPhone 5 reaches download speeds of between 10 and 20 Mbps. During an Everything Everywhere press event website Pocketlint ran a speed test with an iPhone 5 on LTE. They recorded top speeds of 47.44Mbps. Although this was under controlled conditions. What 4G devices will be available? Here’s a list of all the 4G-compatible handsets offered by Everything Everywhere, Orange and T-Mobile. The Samsung’s Galaxy SIII is the biggest selling Android smartphone ever. It features a quad-core processor, 8MP camera and Android Ice Cream Sandwich. The 3G version is already on the market of course, and this new LTE version knocks down the processor speed slightly. Apple’s new iPhone boasts a quick A6 chip, 4 inch widescreeen display, iOS6, 8 megapixel iSight camera and a range of improvements over the iPhone 4S. The 820 and 920 are Nokia’s flagship Windows Phone 8 smartphones. Both handsets feature a dual-core processor and PureView technology camera. The mid-tier 820 has a 4 inch display compared to 4.3 inches on the 920 and compromises in the battery department and front facing camera. Huawei’s Ascend P1 is a new mid-tier handset from the Chinese manufacturer. It features a 4.3 inch display, dual-core processor, front and rear cameras. The Ascend P1 includes stock Android Ice Cream Sandwich – without a custom UI – so a goo choice if you’re looking for a pure Android experience. The One XL is the 4G-enabled version of the One X. To includee 4G-connectivity HTC had to knock the quad-core down to a dual-core processor. But there’s still a massive 4.7 inch display, 1GB of RAM and 8MP camera. The Samsung Galaxy Note II LTE is the follow-up to the impressive Galaxy Note and features a large 5 inch display, making this a tablet/phone hybrid. There’s a quad-core processor on board, as well as an 8MP camera. Is 4G in the UK worth the wait? Is it all its made up to be or are a few milliseconds faster download speed a lot of hype? Let us know via the comments. Looking for Android or iPhone app development? Hire us today.